Being Gay is OK is a UK-based information and advice website for gay, lesbian, bisexual and questioning people. It’s aimed at under 25s, but older people can also use the resources. There’s also a problem page where readers can submit their individual concerns, and resources for parents whose children have come out. bgiok is about practical advice and information about homosexuality, and cutting through the stereotypes and negativity around it. 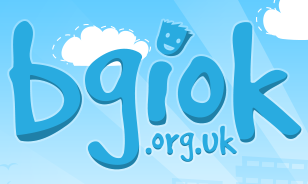 bgiok aims to help young people feel better about their sexuality and about the person they are beyond that. The website offers accessible and informative content that tackles the issues that visitors tend to be most concerned about, such as coming out, religion and homophobic bullying. bgiok is a non-profit project run entirely by volunteers from the LGBT support charity Outline. Who the service is for: LGBQ people, or those who are questioning their sexuality, who would like information and advice. The website is aimed at people under 25, but there are also resources for parents. How to access: Use the online resources on bgiok's website, or contact them using the contact form on their website.